Tutorial by Coolutils: how to convert HTML to DOC? You are here: CoolUtils > Total Audio Converter > Tutorial by Coolutils: how to convert HTML to DOC? FLAC (Free Lossless Audio Codec) is an open-source, free to use audio format popular among rock’n’roll band fans using digital sound recorders to record live concerts as audio files. Thousands of FLAC files are available for free (and legally) on the web, for fans from all over the world to download, listen and archive. FLAC is a lossless format, still offering decent level of conversion. Still, FLAC files are too big and unsupported by certain popular audio applications. Every more or less computer savvy person who likes his everyday work routine to be smoothed over by music, will tell you that the MP3 format is his/her choice. 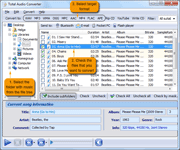 MP3 provides an excellent level of conversion, and is supported by all audio software including iPods. 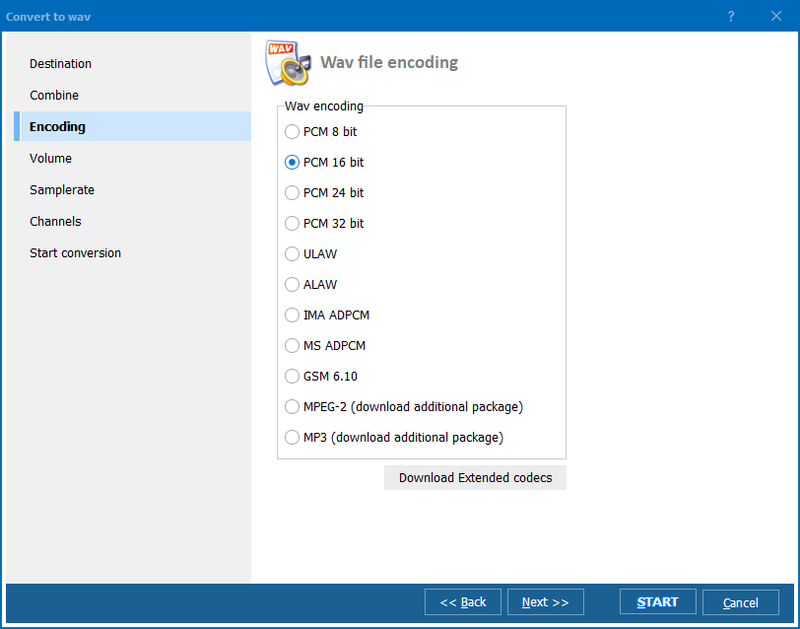 So, the task is to convert FLAC to MP3; but if the quality of your audio recording is important to you, be careful with the choice of your flac mp3 converter. A few years ago, people didn't convert FLAC to MP3 directly; instead, they converterd FLAC to .aiff first. In his “Converting Flac to Mp3” article, Evan Zimmerman states that it’s “a big loss to go directly from FLAC to MP3”. Not anymore. Consider yourself lucky if you found this site. 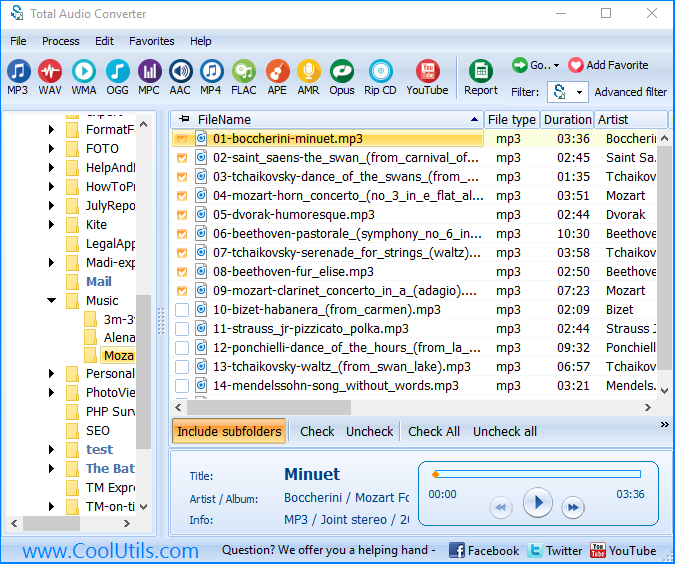 With Total Audio Converter offered by CoolUtils, you can convert your FLAC files to MP3 directly and skip the intermediate .aiff stage. 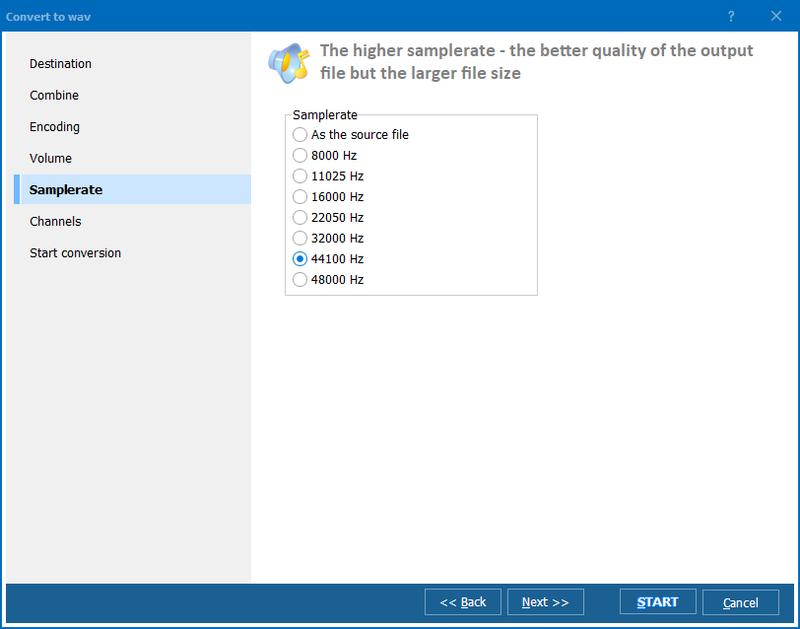 All you need is to choose high bitrate for your resulting MP3 file, and then the loss in quality will be unnoticeably small. Download Total Audio Converter, convert your FLAC’s, put your earphones on, and enjoy, enjoy, enjoy! 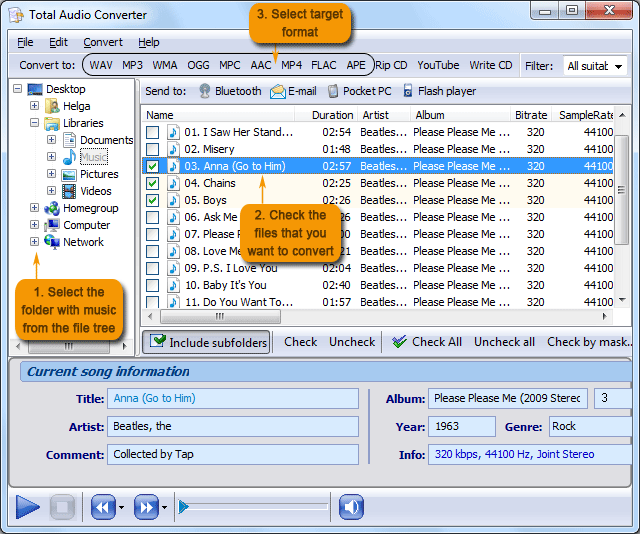 Note that Total Audio Converter is not only a great flac mp3 converter. 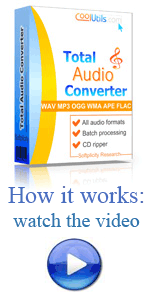 It is all-in-one solution to convert any audio files - WAV, WMA, OGG, MOD, MP4, AAC and many others.